I have always wanted to try a sweet made with matcha. I really like its intense green colour, I think it is so pretty. 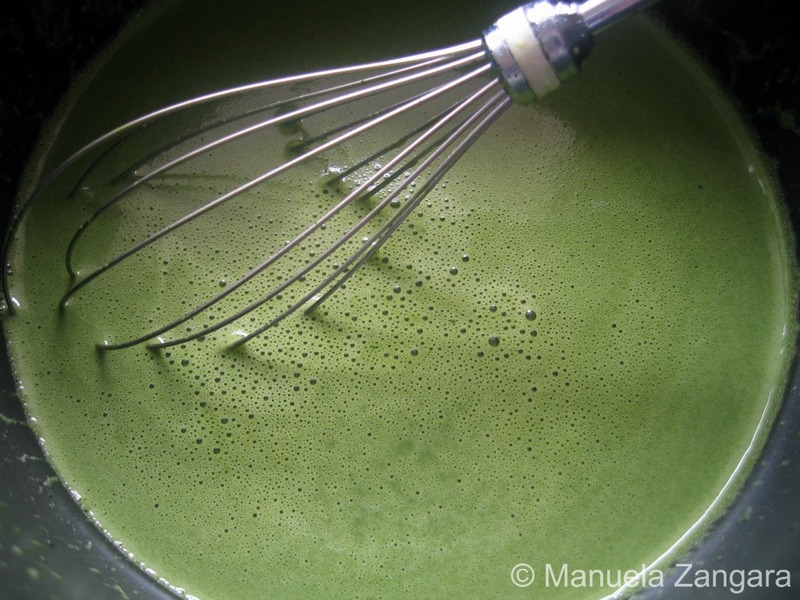 So when I saw the recipe for matcha ice cream at my friend Nami’s beautiful site Just One Cookbook, I thought that was going to be the perfect way to try matcha! Finding matcha was not as easy as I thought… you can find it online but not many stores sell it here in Sydney. So when I finally managed to get my little tin of precious green powder I felt quite fortunate and tried this ice cream immediately. I loved it. It is delicious, sweet but with a light bitter after-taste, creamy but not too much. It has very complex flavour and texture and will be sure to amaze your tastebuds. And it looks really pretty! Thank you Nami for all your tips and if there is still someone out there who does not know Nami and her fantastic site Just One Cookbook, please stop by and enjoy browsing through her fabulous recipes and beautiful pictures! Put the cream, milk, green tea/matcha powder, sugar and salt and whisk them together until well combined. Heat the mixture until it comes to a full boil. Keep whisking until it starts to foam, then remove it from the fire. Transfer the mixture to a large bowl and let it cool down. 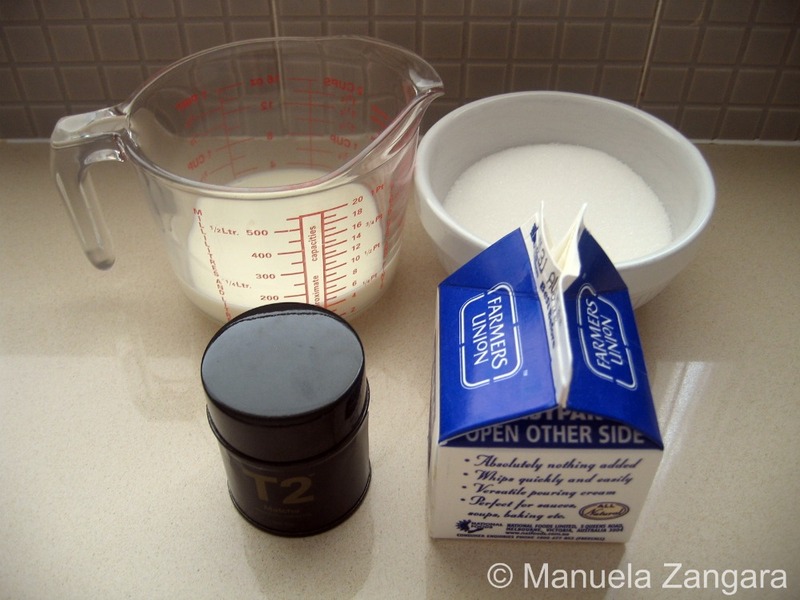 Then refrigerate the mixture until completely chilled. Churn for 20-25 minutes in an ice cream maker, according to the manufacturer’s instructions. Transfer into a container and freeze for at least 3 hours before serving. Wow Manu! I’m so happy I’m still up (2am!) and see this post before going to sleep. What a beautiful presentation and I loooove your matcha color (you got the right matcha powder). 😉 I’m so happy you liked it. Now you know what a real green tea ice cream tastes like compared to not-so-authentic one. Thank you for your kind mention. I’m going to share with my readers on facebook~~~! Lovely color – beautiful ice cream u have there manu!! Getting matcha would be some trouble, but with all these delicious dessert recipes out there that uses it-I am seriously considering purchasing some. Your ice cream does look amazing. I just recently had green tea ice cream and loved it! Beautiful photos and great recipe from just one cookbook. Truly stunning, Manu!!! I think this is the prettiest ice cream ever (well, both yours and Nami’s :)). Sounds like a great flavor for ice cream. And what a color! Everything is beautiful, the flavors, colors, photos … bravo! 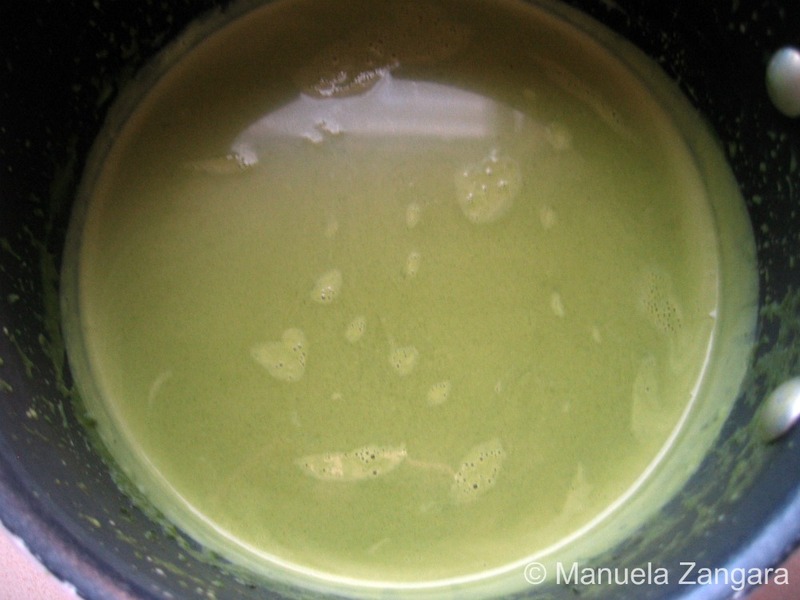 I love using matcha in sweet desserts – it’s amazing made into a bright green glaze for eclairs…yum! 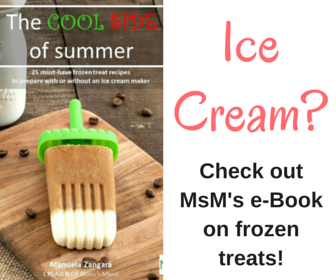 Your ice cream looks awesome too – bookmarked to make once I have a bit more room in my freezer to store! Manu, this looks wonderful. 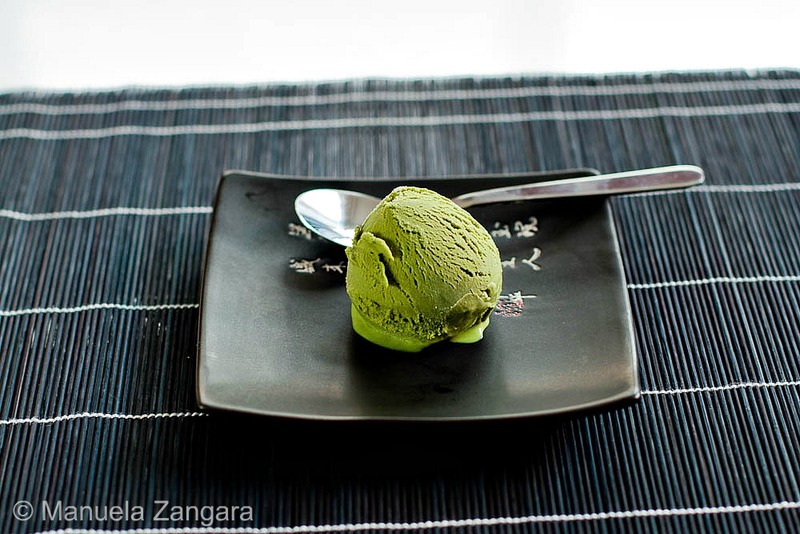 I adore Matcha ice cream, adore Nami’s recipes and site as well as yours. Put them all together and this is a feast for the eyes! This is beautiful! 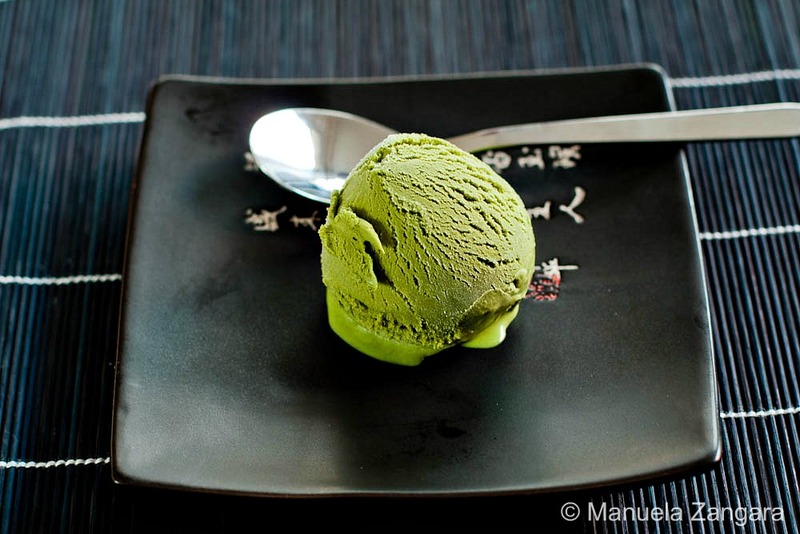 I am going to have to look for matcha, I would really like to make this ice cream. Yum. God Manu I need to live close to you. A beautiful ice cream! I really have to make such a treat soon with the matcha I have in my cupboard. Manu, I saw this recipe on Nami’s site…yours look awesome. Looks so creamy and beautiful pictures. You are quite right Manu, this ice cream colour is beautiful. I love green tea ice cream too! Green tea ice cream is a must for me after Asian meals. Thanks for posting, I may just have to give it a try! What a gorgeous color! This was new to me when Nami posted it, now that I see it again, I just want to eat it! 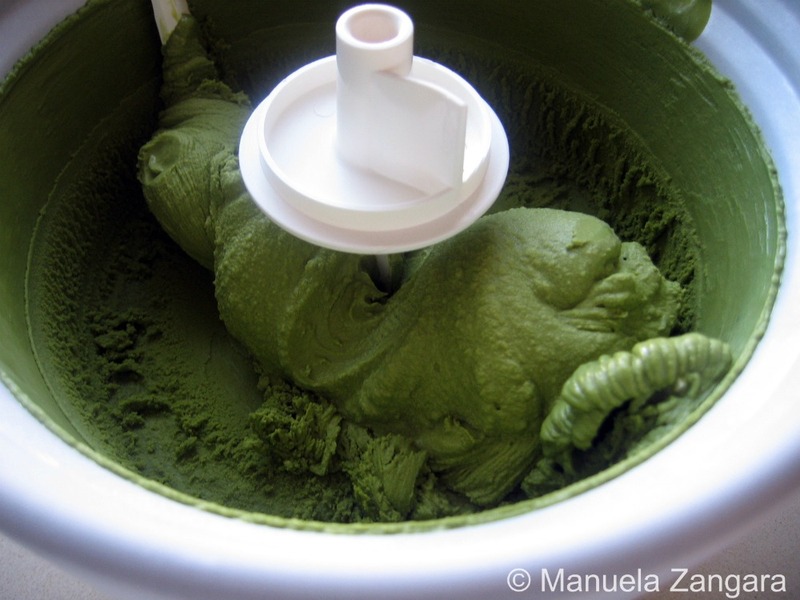 You made Nami’s matcha ice cream so perfect, Manu! I’ve been planning to make it but I haven’t found a good matcha powder yet! I hope I will very soon! 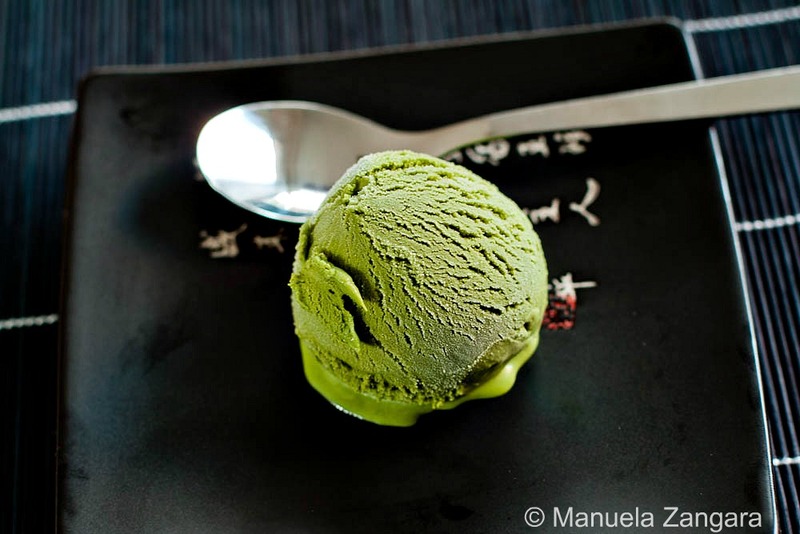 I love green tea ice cream; keep in mind, however, that it’s caffeinated, so eating a lot of it as an after-dinner treat is not necessarily the best idea if you are sensitive to caffeine. Thank you, Thank you, Thank you! Our local Asian restaurant makes this and it is so refreshing. They serve a little scoop of it on a delicate flat cookie like an ice cream cone. My problem is, where do you get the powder? I have searched and searched prior to this because I love Starbucks Green Tea Frappucino. I ordered what was supposedly this powder but instead I got the tea leaves. I am really frustrated. Oh Manu, you have no idea how many brownie points I am going to win with my husband for this recipe- he loves this stuff!! Lovely photos too!! Green is refreshing! I love Starbucks green tea frap, but this ice cream is way, way cooler! I will just have to get a new ice cream maker because mine just stopped working. 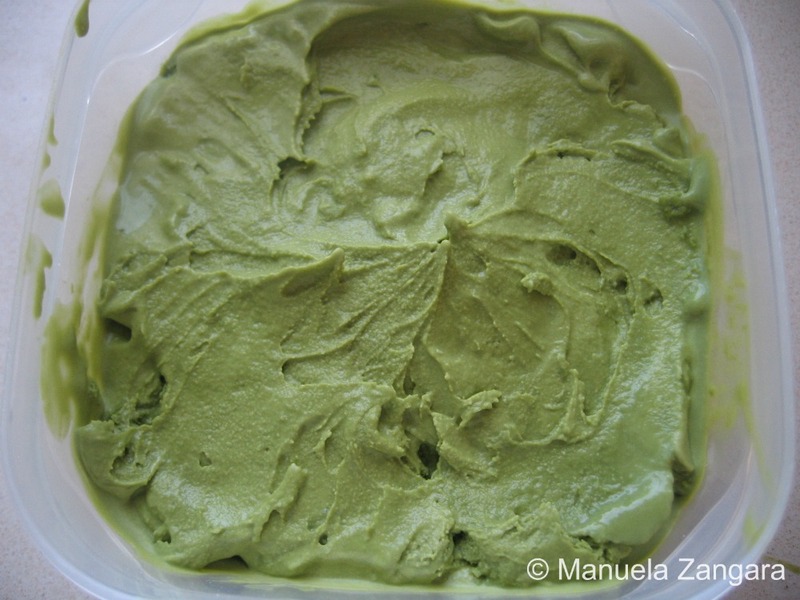 Now I have a good reason to have the machine replaced, this green tea ice cream recipe is worth it! This ice cream is just beautiful! I now have a little can of matcha and was looking for recipes to try with it. I’ll bet this is delicious and I would love to try it. I absolutely LOVE green tea ice cream! It turned out perfectly! Bookmarked! This is so pretty Manu you did an awesome job. And you’re so right about Nami, her blog is beuatiful and she is a sweetheart. Oh Manu this looks beautiful! I have never used matcha before either. Just beautiful. I have never been to Just One Cookbook before. I will hop on over to check it out! These photos are so beautiful Manu! What a wonderful job. I love green tea ice cream. I have never made it myself but if I do attempt to I think Nami’s recipe would be a great place to start. LOVE this color! And it pops so nicely on that black plate! YUM! your photography is beautiful! Perfect for Sydney summer! 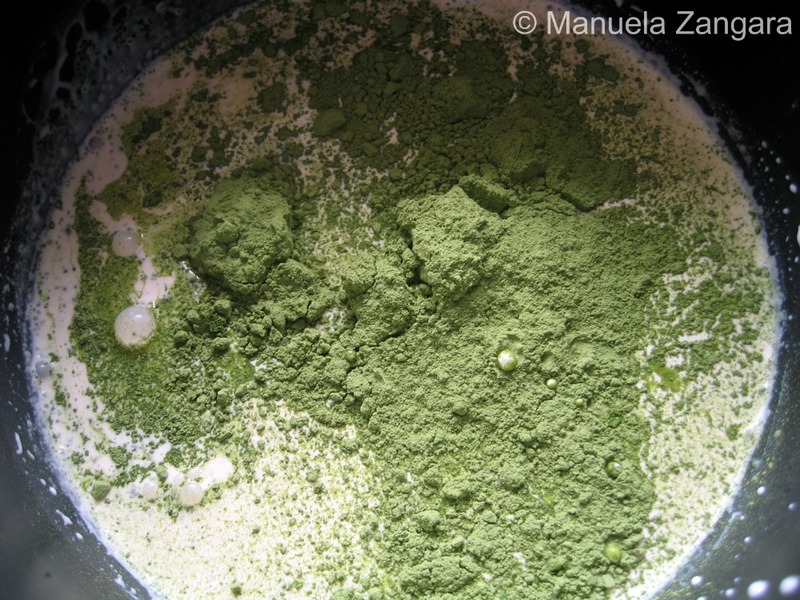 Please share where you found te matcha powder! hi, what a great ice cream you made, I have question what if you dont have icee cream maker can I do with my mixture?